Tim has designed so many wonderful stamps for Stamper’s Anonymous and I wish I could own them all. 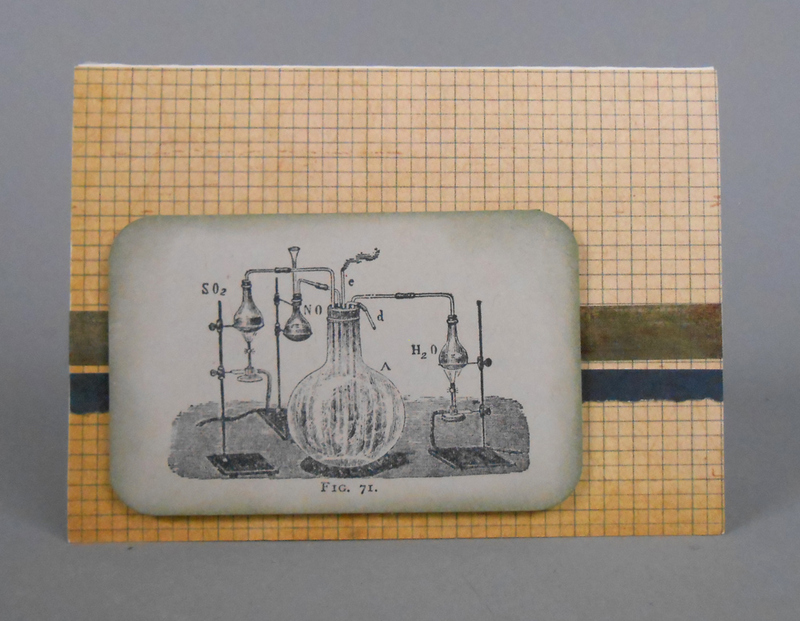 But I was really excited to find this set – Laboratorie – a collection of vintage images of laboratory equipment. My father is a retired forensic chemist who spent many years working for the FDA and the DEA. I also have three sisters and a brother with science degrees – horticulture, genetics, aquatic engineering, and marine biology. Science was always a big thing in our house growing up. Making cards for men is hard, and when your dad is not into the usual guy stuff like sports, boats, cars and bbq, it’s even harder. Therefore, locating science themed stamp sets is like finding a treasure. Perfect for my father – a jar with a chemical reaction, test tubes in a stand and a chemistry table. 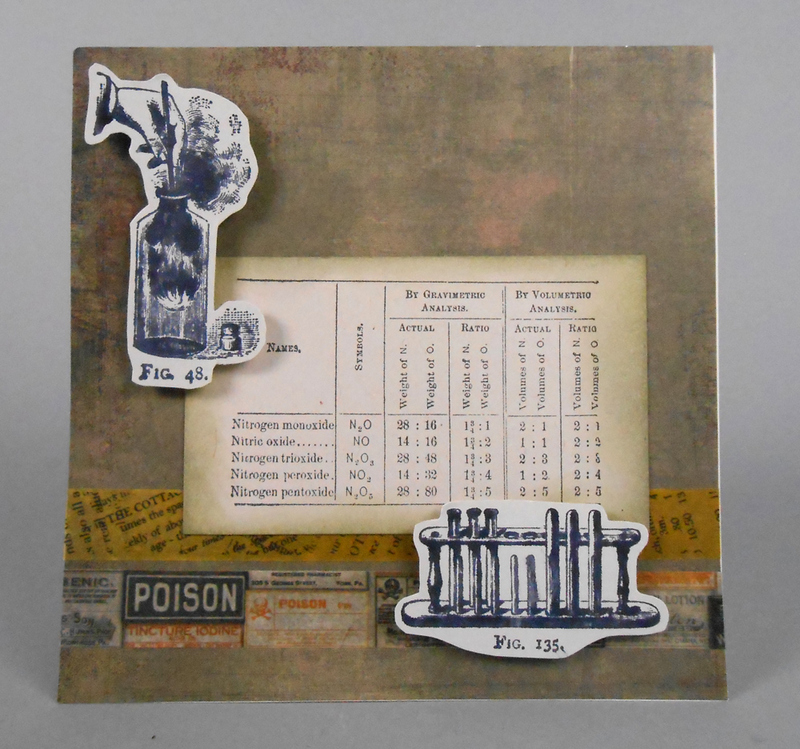 The poison label washi tape, also by Tim Holtz, lends a nice touch, I think. I might add “DAD” along the top – not sure yet. Not sure what this set up is – I did okay with science classes, but my brain is more wired towards the creative side. A neat lab set up, with erlenmeyer flasks, ring stands, bunsen burners and glass tubing. Most of this equipment is still used today. I left space along the top for a quote, just haven’t decided what to use. I think it will depend on who will receive this card. Figure 64 I believe is a wash bottle, Figure 133 is a graduated beaker. 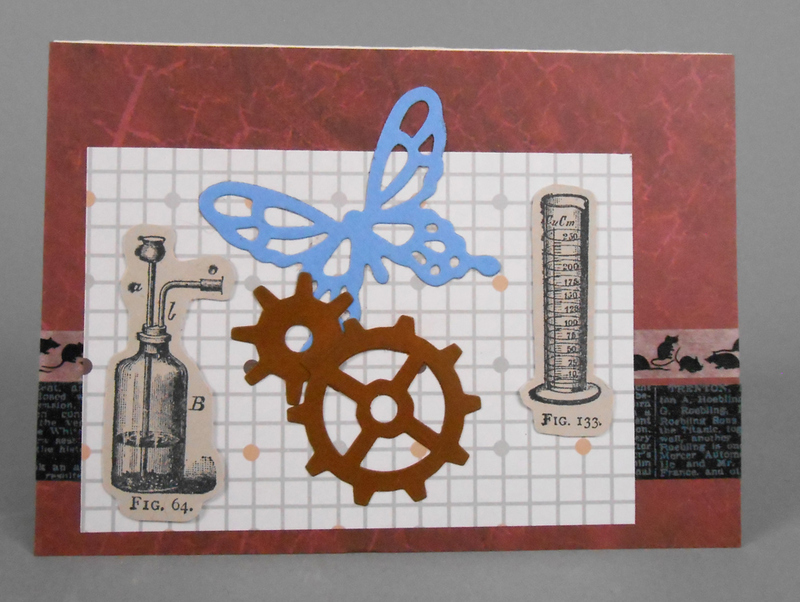 Steampunk gears always go with science type stuff, and I really like the rat washi tape. Have a scientist in your life? Or just like old laboratory stuff? This set might be perfect for your stash. 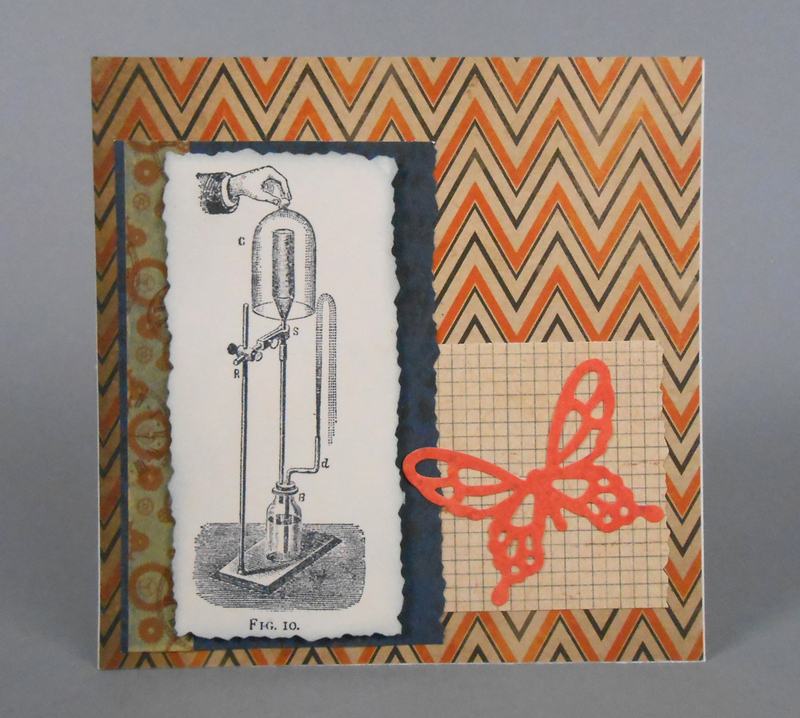 This entry was posted in card creations and tagged cards, rubber stamping, stampers anonymous, tim holtz. Bookmark the permalink.